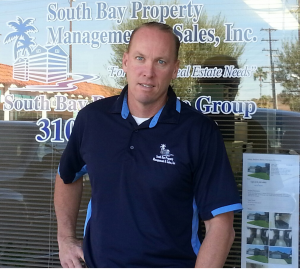 Hello my name is Tim Kelley, owner of South Bay Property Management & Sales, Inc in Manhattan Beach. I was born and raised in Manhattan Beach and now reside in Torrance with my wife Jenny and our two children, so I know this area as only a lifelong resident can. S.B.P.M. in Manhattan Beach offers complete property management services for single family homes, townhouses, duplexes, apartment complexes, condominium units and commercial properties. Most Competitive Fees for Property Management in Manhattan Beach.